Founded in 2011 by Rebecca, Beauty Be Mine is a family-run beauty salon set in 10 acres of peaceful Surrey countryside, offering you a wide range of beauty, body, skin and inch-loss treatments. Situated on the top floor of The River Club, we are open to members and non-members, men and women. 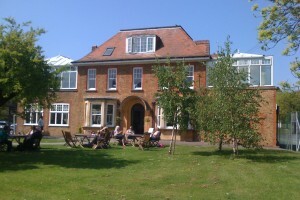 Beauty Be Mine is within easy reach of the A3, A240 and A2043 but away from the hustle & bustle of Worcester Park. 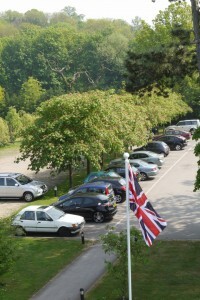 There’s ample free parking and you can even get your car valeted whilst you are being pampered. Do you sometimes need an appointment at short notice? 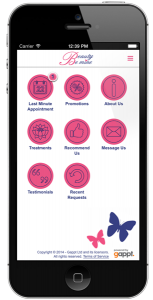 Then download our Appointment Availability app to your smartphone and get notifications if we have any last minute cancellations. The app will also let you check what availability we have over the next few days. Click on the ‘Check Appointment Availabilty’ button for more details. Please take the time to look at the range of of treatments we offer – there’s something for everyone, young or old, male or female. We are delighted that Steve works at Beauty Be Mine one day a month. Steve is one of the industry’s best young creative talents whose work has featured in many fashion, advertising and commercial shoots. With a quiet, friendly nature and over 12 years’ experience, Steve is an expert at interpreting the needs of his clients and producing a flawless look with an artistic flair, which often surpasses all expectations. He is trained in advanced techniques of Permanent Make Up & is also a trainer. Call 020 8329 9476 to book your initial FREE consultation with Steve. Please note that Steve is an independent make-up artist and does not accept Beauty Be Mine discount vouchers or gift vouchers. Would you like to work for Beauty Be Mine? We’re always interested to hear from experienced, enthusiastic Beauty Therapists qualified to NVQ Level 3 or equivalent who would like to join our friendly team.